Sod Installation Coconut Creek is one of the least expensive landscaping projects one can do. 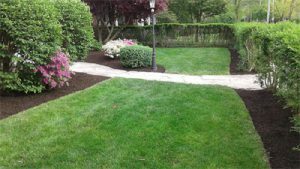 It is important to start with the right sod, and to prepare the ground as best as possible. Years of experience and a culture of integrity make us your one stop shop for all things Sod. We are equipped to handle the smallest of yards to full size estate properties. Our unique and time-tested process is not only time efficient but also implements the best practices to ensure the health of your new sod. Sod Installation Coconut Creek handle your new sod installation from start to finish. The vast experience of our staff enables us to put any idea you have into a reality within a budget that you can manage. Sod Installation Coconut Creek delivers fresh Sod every week day. We cover 480-500 Square feet; Approx. 180 pieces.